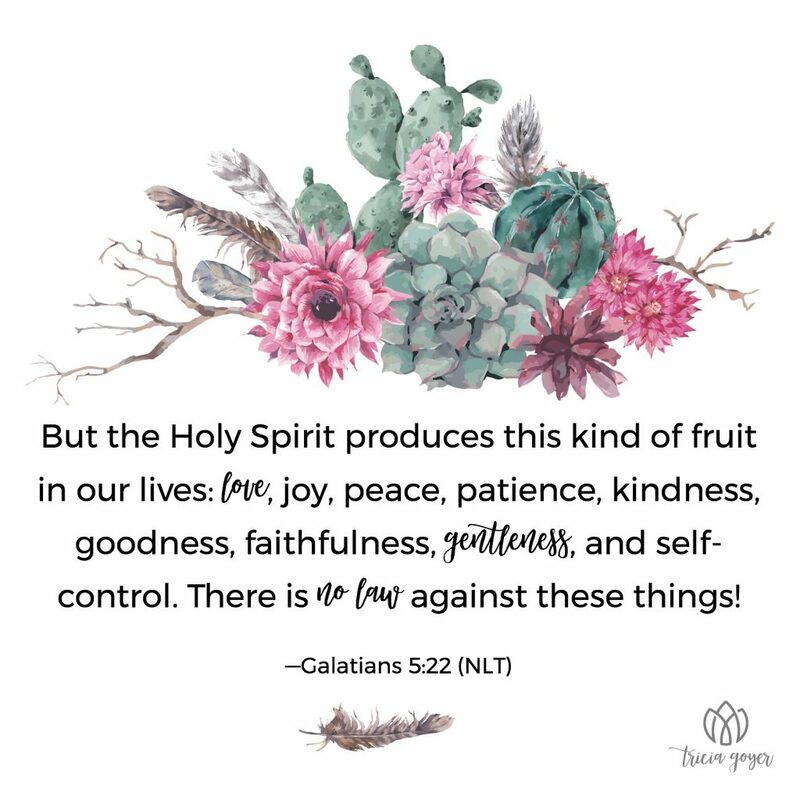 But the Holy Spirit produces this kind of fruit in our lives: love, joy, peace, patience, kindness, goodness, faithfulness, gentleness, and self-control. There is no law against these things. I need your Holy Spirit to produce fruit in my life. Help me to be more loving, more joyful, more peaceful, more patience. Help me to have more kindness, more goodness, more faithfulness, be more gentle, and have more self-control.